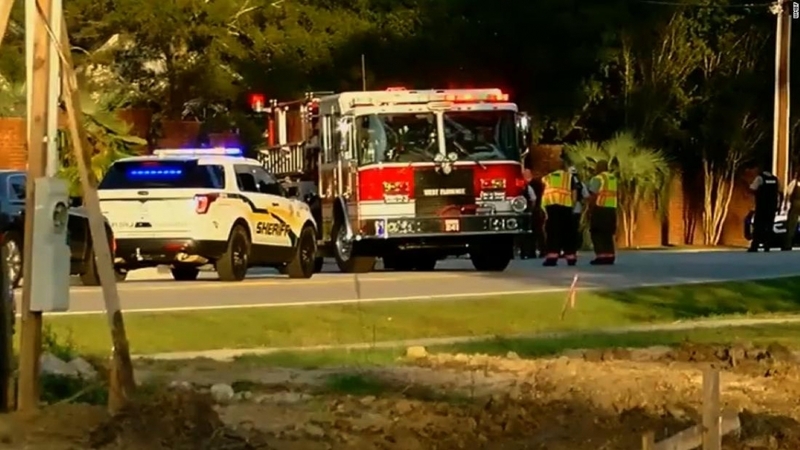 One of the five law enforcement officers shot on Wednesday has died, Florence County Coroner Keith von Lutcken said, according to CNN affiliate WBTW. Three Florence County, South Carolina, Sheriff’s Office deputies and two city officers were shot Wednesday, chief deputy Glenn Kirby said, according to CNN affiliates. The shootings took place during an active shooter incident, which is now over, the Florence County Emergency Management Department said on its Twitter page. A suspect is in custody, the county said. The scene of the shooting in Vintage Place off Hoffmeyer Road remains a crime scene, the county emergency management said. “Prayers with injured officers in Florence and their families,” South Carolina Sen. Tim Scott said on social media.